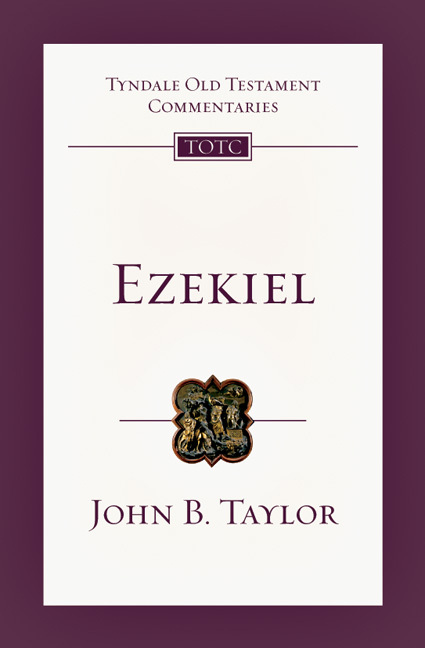 "For most Bible readers Ezekiel is almost a closed book," writes John Taylor. "Their knowledge of him extends little further than his mysterious vision of God's chariot-throne, with its wheels within wheels, and the vision of the valley of the dry bones." "Otherwise his book is as forbidding in its size as the prophet himself is in the complexity of his make-up," Taylor goes on. "In its structure, however, if not in its thought and language, the book of Ezekiel has a basic simplicity, and its orderly framework makes it easy to analyze." Taylor, in the introduction to this analysis of Ezekiel, sketches a portrait of the prophet and his times, carefully placing the book and its prophecies within their historical settings. He also provides an overview of the books themes and a clear outline of its contents. The original, unrevised text of this volume has been completely retypeset and printed in a larger, more attractive format with the new cover design for the series. Join the TOTC Program and Save Over 30%! Taylor is formerly bishop of St. Albans in England.